Australia’s banks have always enjoyed a lucrative income from credit card “interchange fees”, the charges that the banks levy on merchants’ sales. These fees amount to AU $2.5 billion a year which are ultimately passed on to consumers. Unwilling to share any of this revenue with Apple, all but ANZ and American Express have refused to adopt Apple Pay. Instead, four of the largest banks, NAB, Westpac, Commonwealth and Bendigo and Adelaide have asked Australia’s competition regulator, the ACCC, for permission to act collectively to negotiate with Apple over access for their own digital wallet products on its phones, tablets and watches. The banks, along with their industry representatives are claiming that they are taking this action in the interest of providing “Australians with real choice and better outcomes”. They are also allegedly concerned about security and standards surrounding the way in which customers add their cards to Apple Pay. Even if granted, the likelihood of Apple negotiating access to the underlying payment mechanisms in the phone to the Australian banks is zero. Ceding on this would not only require Apple to create the mechanisms by which third parties could integrate with the hardware and software in their devices but it would essentially be giving up on the substantial global revenue derived from Apple Pay that is only set to grow. Giving in to Australian banks, which in total represent a small fraction of their overall Apple Pay earnings, would mean opening up access to Apple Pay to every bank globally. Something that Apple would never do. Apple would be more likely to forego Australia altogether before taking that radical a step. If anyone had an anti-competitive complaint to make, it would be Google and Samsung whose Apple Pay alternatives, Android Pay and Samsung Pay are also not compatible with the iPhone platform. The fact that they haven’t complained about this as such is because it wouldn’t be worth their while competing with Apple Pay which is integrated into the underlying operating system. The banks would like to claim that their own technology somehow would be better than using Apple Pay. The banks’ tap and pay apps however require opening them up and entering a PIN, logging in or using a fingerprint login, rather than simply holding the phone against the tap and pay terminal with your thumb on the home button. The banks’ apps have also been historically beset with issues and delays in supporting new versions of Android in particular. Perhaps Apple should not feel particularly victimised however. The Commonwealth Bank, Westpac and NAB have rejected any support for Android Pay or Samsung Pay as well. ANZ is the only Australian bank to have taken on Apple Pay after originally being part of the other banks’ initiative to collectively bargain with Apple. The move by ANZ CEO Shayne Elliott to be the bank to adopt the latest mobile digital technology is a smart one because it has clearly differentiated ANZ as a technological leader in this space. 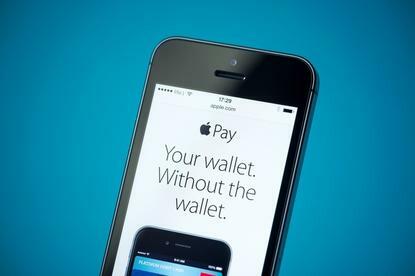 Elliott claims that the support of Apple Pay has attracted new customers to the bank. ANZ’s and American Express’s support for Apple Pay and Android Pay has actually given customers what they want. What they want is to be able to use what large numbers of other people in other countries can use. Being part of the “Apple” or “Samsung” or “Android” group forms part of a user’s self and social identities and fulfils a psychological need of relatedness. Being excluded from this group by banks whose predominant consideration is profits will only cause dissatisfaction and resentment amongst their customers. ANZ’s acceptance of Apple Pay will presumably also weaken the case of the other banks that they are being disadvantaged by Apple’s closed payment system. The brinkmanship of the banks will come to a head next year when the NSW transport system starts trialling the use of tap-and-pay cards to pay for travel. If the experience in London is anything to go by, this will drive even greater use of mobile tap-and-pay which for iPhone or Apple Watch users benefits only ANZ, American Express and Apple.